When I pulled Secret Daughter by Shilpi Somaya Gowda out of my holiday book bag, I told STG how excited I was to be reading it. I explained, somewhat inarticulately, that I find, in general, that writers of the South Asian diaspora - writers like Sith, Martel and Rushdie - somehow capture in their stories the fertile, lush, and humid atmosphere of the countries that birthed them. I expected the same of Gowda, and although I eagerly lapped up this story of motherhood, the atmosphere itself was somewhat lacking. Secret Daughter is the story of a baby girl adopted from Mumbai by a mixed couple - Indian dad & American mom. She is raised like most upper middle class girls [read 'slightly boring']. While the book has an intriguing back & forth structure that compares Mumbai over 20 years with life in American over 20 years, we don't spend enough time in either location or with the characters in those locations to get any great sense of depth. On the other hand, what do we observe in the characters is painfully familiar. Mother'daughter struggles. Mother-in-laws and the many ways to unintentionally insult them. Mom's doing their best but not knowing if that best is good enough. Children making choices their parents blame themselves for and try to pretend aren't happening. Relationships that atrophy from neglect. Jobs that happen by default because other choices are more important. The tensions in this story are real and relatable - it is only the environment they happen in and the characters they happen to that I found lacking. Secret Daughter is absolutely worth the read. That it lacks the lushness of Vikram Seth or the intellectual stimulation of Salman Rushdie may not be a real criticism - one theme of the book is valuing different cultures. Maybe it's time for me to give up my opinion that the cultures of South Asia are inherently more interesting, ancient and therefore valuable than anything North America has to offer. Maybe the familiar has it's own value. This summer it was a jigsaw puzzle at Shiney's. That great communal project that unites and frustrates children of all ages. It got me pondering and remembering and reminiscing. And then it was a little book; for the past month, I've been making my way through The Happiness Project, in which the author notes that the things we enjoyed as children we likely still enjoy if we'd just admit it to ourselves. More pondering. Then I began The Artists Way. I'm only on week two of 12, but already I've been coming up against some, apparently predictable, roadblocks. How do I take my inner artist child out to play each week when I don't know what my inner artist child wants to do. It's been so long since I cared to listen - maybe I couldn't hear. But somehow it all converged, as the important things often do. One of the artist tasks this week, in addition to the date, was to list 20 things I enjoy. I read that one to STG and said "I don't think I can think of 20 things I enjoy lately." And so I looked back - back to the days of playing with Shiney. Back to long school bus rides home to a farm that was full of adventure and devoid of tv. Back to days when I was seldom bored. So I headed out this afternoon believing that I'd have the house to myself for at least 2 hours tonight to find either a jigsaw puzzle or a colouring book that caught my fancy and that I could play with for 2 hours on a date with myself. What I found was so much more wonderful. In the unlikeliest of bookstores, a display rack of DoodleArt. Now, if you weren't a child in the 70's and early 80's. And more particularly, if you weren't a grandchild of Viola Sylvesta in the 70's and early 80's you might not have the heart-rush of happiness at the mention of DoodleArt that me and my sisters and my cousins are likely to have. It's not just the impossible complexity of the doodles. Or the seemingly endless task of filling them in. 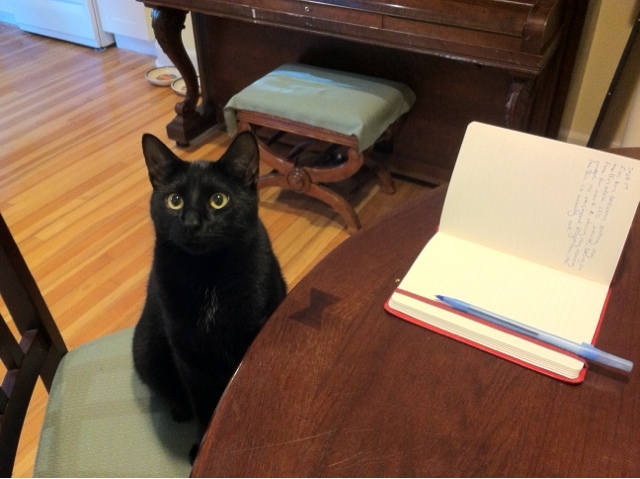 It's the hours and hours and hours spent waiting for the light blue pen to be free. Or sucking on a dying felt nib to get just that last bit of green on the page. And seeing your collaborative masterpiece hanging at the end of the downstairs hallway for years, and always knowing exactly which flower or fish was yours, and finding exactly the spot where you thought a fin was a wave and coloured blue instead of orange. And so, at the ripe old age of 44, I bought myself a DoodleArt. But that wasn't even the best part. I could tell from the miniscule preview on the poster tube, and from the title, that this particular DoodleArt was about Fairy Tales. But I had no idea until I'd shaken out the pens, reverse rolled the poster, and plopped it on my table that this DoodleArt was really about me. Young. In an outfit with too many patterns and too many colours. Hair askew (though I don't think I ever once had pig tails). So deeply engrossed in a book that entire worlds swirled around me. Me. Captured in a DoodleArt. 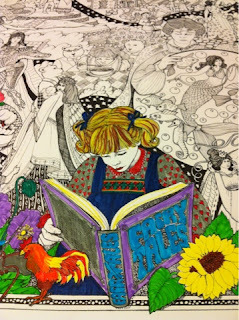 And, something sort of magical happened while I was colouring my DoodleArt this evening - I sang. For the first time in a year. I sat at the table with my smudgy felt pens and I sang. Just a little. Until the song ended again. And that's okay. Maybe I don't have to find all of my inner artist child at once. Maybe it's okay if she emerges one doodle, one song, and one date at a time. I hope she does. I really miss singing. In spite of fat and fear and an untamable unibrow. Or whatever word you might choose. I'll choose the being of them. Everybody knows I'm a huge fan of The Bloggess. There have been times, in fact, that I've wished I was more like her - more open, more honest (? ), more funny, more inspiring. I love The Bloggess. I will admit though, I don't read her blog every day. I don't read any blog every day. For the most part, I find that the vast majority of blogs aren't written in a style that I enjoy reading - and even The Bloggess I find tiring after a while. Perhaps it's part of the downfall of trying to stick to a particular post length (not too long) and a particular voice. Perhaps I wouldn't even ready my own blog if I just stumbled across it and wasn't a complete egoist. All that said, of all the blogs out there, The Bloggess' is the one I keep going back to, keep finding myself in. It's the one that moves me to laughter and tears and sighs and wishes. So I was excited when SC2 loaned me her copy of The Bloggess' (aka Jenny Lawson) first book Let's Just Pretend This Never Happened. And as much as I enjoyed the book, I have to admit I was a little let down. Perhaps it was just the curse of high expectations, but there were moments when I couldn't suspend my disbelief, even though the book is a memoir. I grew up in a remote, small town. I empathise with being a reader in a town that only values sport - in Jenny's case football, and in my case hockey. But something was lost crossing the border. Part of the issue was, admittedly, that I was familiar with certain chapters because of the blog versions of those same stories, but there was something else that kept me slightly at bay. I laughed. I pondered. I read sections to STG. But some extremity of expression kept me from getting right into what Lawson was saying. Being a big, bold over the top slightly insane Texas girl is both The Bloggess' blessing and her curse. It's what makes her charming, and what takes her writing beyond the pale. What I love most is Lawson's openness about her own foibles. Knowing that her long-suffering husband Victor is long-suffering. 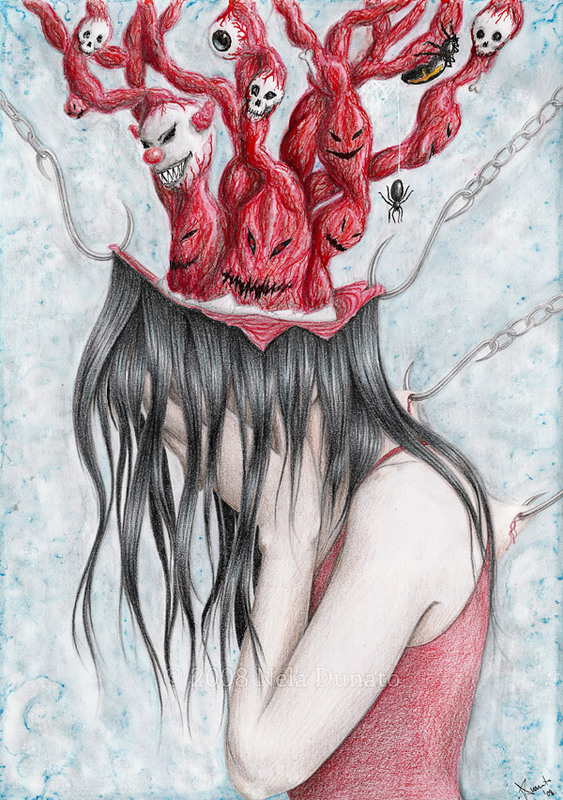 Showing what it's really like to live with depression and a debilitating anxiety disorder. Being quotidian and ordinary and completely extraordinary. Do I recommend this book? Whole-heartedly. It was great fun, and concluded with the sweetest affirmation of motherhood that I've read in a book. I just ... I expected to find myself in those pages as I often do on her blog. And I didn't. For some reason, it just didn't translate for me. I'm prone to nightmares. I have been since I was a little girl. I remember vividly a dream I had routinely when I was 6 or 7. A dream so terrifying that I would will myself to stay awake as long as possible, squeeze my eyes tight to keep from seeing the ghosts dance across the walls - knowing and yet not knowing they were cast by the few passing cars. And, eventually, falling asleep only to wake drenched in terror. I missed a bit of school because of them - school I loved but was too exhausted to get to for a few days. And then they passed. Maybe my parents prayed over me at night. Maybe I learned more self-soothing techniques. I do remember laying in bed and trying to think about happy things - Snoopy cartoons and silly, happy songs, mostly. Of late, the nightmares have been back. For years and years I guarded against them - was careful not to watch supernatural or murderous or otherwise scary TV shows and movies. Tried to keep my 'sleep hygiene' routines. But, somewhere in the last year, they came back. Different from the nightmares of my childhood, but just as vivid. Just as lingering. And just as likely to colour my days. It's harder now. You can't just call in to work and say 'I'm not coming in, I had nightmares.' You can't just sleep with the lights on when someone else is in the room. I wish, in this instance, I had a less powerful imagination. I wish that when I woke up the specters didn't linger. And I wish that the stress and worry that causes them would just move on. No, not move on - evaporate. This isn't a tide we want turning again and again. And, I wish I didn't believe that dreams are, on some level, messengers. That they return until you know what they are saying. I think that's the most upsetting part - the dread, laying in bed, craving and fearing sleep. I wish that, like my transcendent friend Scrooge, I could write my wraiths off as a bad bit of cheese, roll back over, and go back to sleep. Every September I write about how every September still feels to me like a restart. This September is no different. After a three-week blog hiatus, I am back only with the caveat that today I am also beginning, at long long last, Julia Cameron's The Artists Way and that will take precedence for the next 12 weeks. I intend, for once, to do it as designed, so we'll see how that works out. And, STG and I are, also at long long last, starting a regular yoga practice - both classes and at home practice. We both want to work on our physical fitness, but also reduce our stress, calm & connect our minds & bodies, and expand the realm of 'intimacy' by sharing more experiences and interests. I'm excited to be starting anew with yoga. I got a lot out of my brief hot yoga experience, but think something less ... intense ... will be sustainable in the long term. And, I'm really interested in taking a personal interest course of some kind. I'm not sure what - maybe a language. Maybe another creative course like painting or drawing or ... I don't know. Maybe piano lessons. I was leaning towards Spanish, but also don't want to take on too much at once, and have other plans for the money (like any number of trips) so that's up in the air. But it's there ... calling to me. And, it's time once again to get a little more serious about eating better. About moving more. About stopping the middle-age spread that just keeps on spreading. I am less and less satisfied with my body of late. Not as angry/sad about it as I was, just unsatisfied. All of which takes more time than grabbing whatever food falls out of the cupboard and into my mouth, and more time than sitting on the couch in a very forgiving (and very unflattering) bath robe. So back to school. Back to learning and growth and life and the end of entropy. Back to giving a damn. It's time.